Today we made a decision to take a tour of the city just to scope New York City and let the kids choose where they'd like to spend time. After chatting to concierge about the Greyline tours (and walking away when we heard the price) we wandered the 100 metres to Times Square and ran smack bang into a Go New York Tours salesman on the street corner. After much chatting and a bit of negotiation we got a four day All City Pass on the Go New York green buses for just $49 per person which not only includes the get-on-get-off bus service around three routes (Downtown, Uptown and Brooklyn) but also includes the NY at night tour, Central Park bike rental and tickets for the Museum of the City of New York. With our tickets secured we jumped on the nearest green bus and started the Uptown tour. Times Square, Broadway, 5th Avenue, Greenwich Village, Gramercy, East Village, Little Italy, China Town, World Trade Centre (and memorial), Battery Park, Tribeca, Soho, West Village, Meatpacking District, Chelsea and Midtown West were all on the Uptown route. For an extra $5 per person at the time of ticket purchase (or an extra $10 per person if you prefer to upgrade later) you can include the Downtown Liberty Cruise which takes you under the Brooklyn Bridge, around Governors Island, near the Statue of Liberty (for photos), past Jersey City, down the Hudson River and back to the Lower East Side. Some points to note: there are designated pick up and drop off points along each route with buses coming around every 15 minutes or so. You can get on and off as much as you like. The final bus picks up at any of the designated spots at 5pm for the day time tours. The tours are guided and guides do expect tips each time you get off the bus so you need to factor this into your budget. 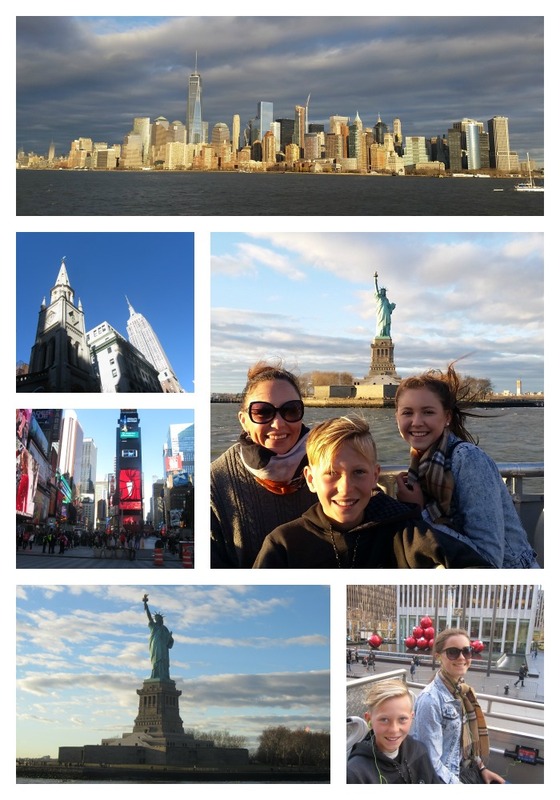 Enjoy the pictures of our Downtown Tour of NYC. There is so much to see and do in NYC I think a tour is the best way to go especially in the first few days your there then you have a good idea of what area you want to go back to :) I did a free tours by foot NYC all day tour where you pay what you think at the end. They have a few of them around USA you should look them up in your next spot, they were really great.